I have good news for people who explore a career in brand management: Good brand managers will continue to be a hot commodity. The P&G announcement marks an undeniable shift in a business’s go-to market strategy. Now, branding will be the epicenter of the efforts to compete in a super-crowded business environment. Building trust in a brand and managing its reputation is becoming much more important than managing the classic 4 Ps of marketing (product, placement, price, and promotion). A strong brand offers a business the luxury of putting the classic 4Ps of marketing on autopilot. Let’s take products, for example. Gone are the days when a company had a unique product no competitor could match. Even the famously secretive Apple only manages to preserve the uniqueness of its products for a few weeks before copycats start emerging. Distribution has also become more accessible, in large part due to the explosion of e-commerce. Established e-retailers, such as Amazon and Best Buy, provide any business (regardless of size) with the opportunity to sell products on their platform. The cost of starting an online store has also decreased dramatically. E-commerce platforms such as Shopify offer entrepreneurs the opportunity to sell online starting at $29 per month and to have a shop up and running in weeks. P&G was among the first to realize that modern marketing narrows down to branding. Owning the generic category words in the mind of consumers is becoming the ultimate strategic goal. Regardless of the industry, a brand manager is successful if his brand is one of the top three sellers in its category and profitable. So, what makes a good manager? Below are five factors that separate effective brand managers from inept ones. People often describe themselves as left- or right-brained. They are either analytical and verbal, or creative and visual. A strong brand emerges as a combination of sound strategy (left brain) and unique creativity (right brain). The brand managers has the ability to transform the research numbers and strategic bullet points into visual and written signals that will entice people to choose the brand over competition. A good brand manager has strong analytical and creative skills. He or she must be able to craft and support the brand strategy with research data and facts to obtain management buy-in. Then, in a 180-degree turn, he or she has to spark excitement and creativity among graphic and web designers, art directors, and social media specialists, and make sure the brand message is communicated effectively. Unfortunately, there are still not that many options to acquire these skills through formal education. Most brand managers have mastered them through work experience. The need for brand differentiation is acute, due to increased competition and the multitude of choices instantly available to consumers. Yet brands in most categories follow the herd mentality. This is especially true in mature categories, with very little or no innovation. Products have become some similar and choices so overwhelming that consumers fail to see any meaningful differences between brands. 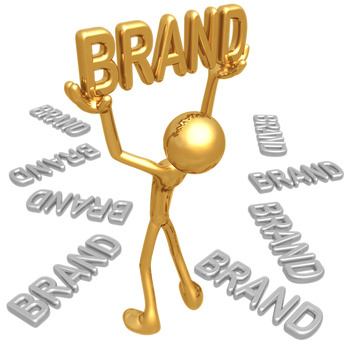 Good brand managers ask themselves at the start of each project, “Will this initiative reinforce my brand positioning? Will it help or damage my brand?” They have the ability to pull the brand out of the commoditization trap. An effective brand manager has the courage to try something different, through innovation rather than copying, focus rather than dilution, and meaningfulness rather than price discounts. Brand managers are often pulled in different directions by other departments and external collaborators, each pursuing their own agenda. At a sales team meeting, the monthly budget is always more important than strategic brand-building initiatives. Salespeople will always push for short-term promotions and price discounts. Moreover, they will ask for a new product, “something new to talk about,” even if those new additions end up diluting the brand. Creative partners also pursue their own interest. An email provider will always downplay the importance of content marketing, and a social media specialist will tell you traditional advertising is a waste of money. Successful brand managers have the ability to say no to initiatives that might satisfy short-term needs but create long-term damage. And securing the buy-in on the brand strategy from the ultimate decision-makers (such as the company owner, CEO or president) is crucial. “Today people are information-rich and time-poor,” states Marty Neumeier in his book The Brand Gap. People’s attention spans are shrinking, and brands only have a few seconds to make a good impression. That’s why uncluttering the brand message is of utmost importance. Less is more. Simple is better. Successful brand managers pursue simplicity in every brand endeavor. Good design costs as much as bad design. Product packaging and marketing materials that have a consistent, attractive, and unique look can make the difference between success and failure. We are visual creatures. We do not buy based on facts and bullet points but on what is visually appealing to us. Good creative inspires trust and is often associated with superior quality and functionality. Good brand managers can elevate creativity and consistency in applying it at all brand touchpoints, be it packaging, POS, advertising, and the after-sale experience.